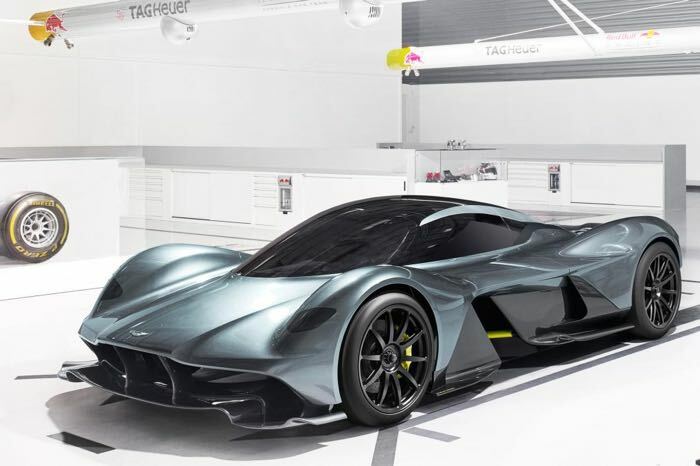 Back in the summer we talked a bit about the Aston Martin and Red Bull Racing hypercar for the streets that was in development and a track version is coming as well. We have seen some images of the car and it looks fantastic. Word has now surfaced that claims the car will be massively aerodynamic and create huge amounts of downforce. Reports indicate that the track version of the road car will generate 4,000 pounds of downforce without needing to strap a massive wing on the rear of the car. Only 25 of these track version will be made and the car is tipped to be able to generate 4Gs of cornering force. All that downforce comes thanks to an underbody air channel design that is made to keep the car as low to the ground as possible. The car will weigh in at 2200 pounds dry and with the ability to generate 4,000 pounds of downforce the car should be a beast on track. The car is also tipped to reach 200 mph in about ten seconds.